A closer look at the “EYBL” Nike Kyrie 5. Nike’s annual Elite Youth Basketball League, aka the Nike EYBL, is set to kick off later this month with a trio of events across the country starting in Atlanta, Georgia (April 26-28), Indianapolis, Indiana (May 10-12) and Dallas, Texas (May 24-26). As always, Nike Basketball will be providing the players with special edition colorways of some of the brand’s most popular signature sneakers. Among the EYBL sneakers that’ll be in rotation is the colorful Nike Kyrie 5 shown above. 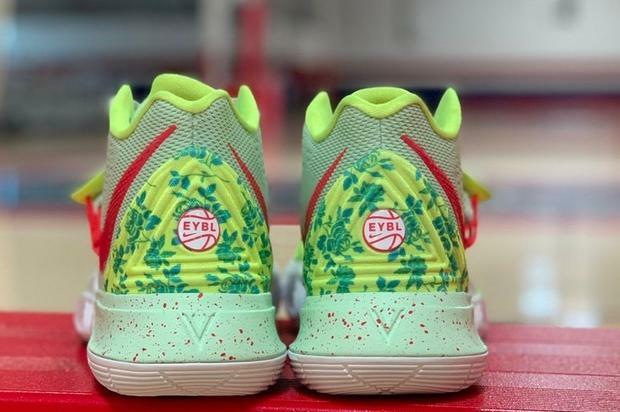 Built on a mint green upper with neon green accents, the Nike Kyrie 5 “EYBL” also includes splashes of red as well as the EYBL logo on the heel. Check out some additional images of the kicks below, and click here for an early look at the “EYBL” Nike KD 12.